ANAHEIM, Calif., September 2, 2016 /3BL Media/ – The Disneyland Resort has been proud to call the city of Anaheim home for more than 60 years. 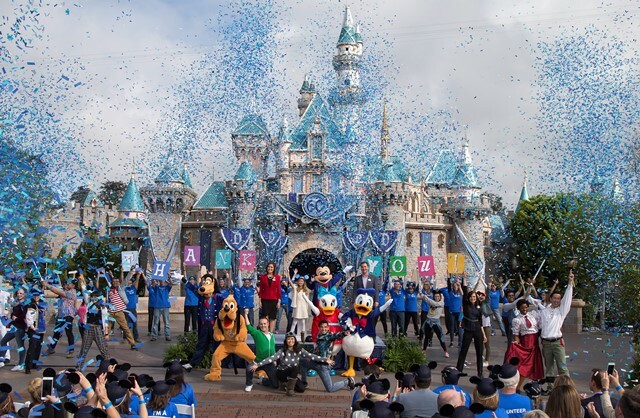 To celebrate our 60th Diamond Anniversary, and thank residents in Anaheim and across Southern California, Disneyland Resort created several new programs designed to positively impact children and families today and for many years to come. 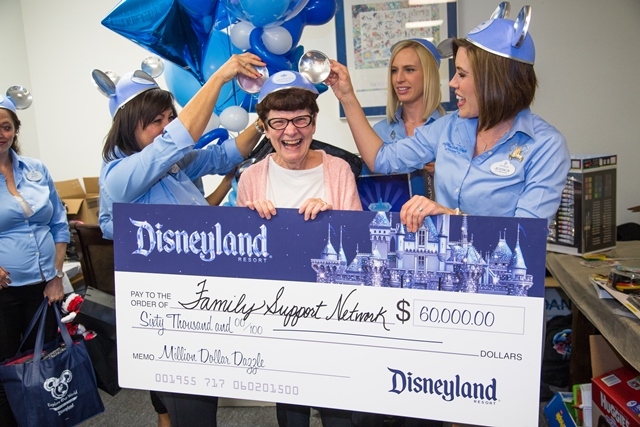 As part of this celebration, Disneyland Resort contributed more than $4.4 million to local nonprofits in Anaheim and throughout the region, which is in addition to our annual giving of $19 million in 2015. After traveling to 12 cities, the Million Dollar Dazzle Crew awarded 17 local nonprofits with $60,000 each for a total of more than $1 million. Nonprofits included: Girl Scouts of Orange County, Community Action Partnership of Orange County, Literacy Project Foundation, Project Hope Alliance, Habitat for Humanity of Orange County, Family Support Network, Providence Speech and Hearing Center, ACT Anaheim, Kristie’s Foundation, Segerstrom Center for the Arts, Pacific Marine Mammal Center, Children’s Fund, Orangewood Foundation, Aquarium of the Pacific, Taller San Jose Hope Builders, RAD Camp and Project Access. Just a few results from these donations include one Habitat for Humanity home built for a veteran, four Disney Musicals in Schools funded, 20 sea lions rehabilitated and released, 26 laptops for disadvantages students, 100 families supported with events for critically ill children, 108 scholarships for foster youth toward a college education, and participation of 486 at-risk children in literacy programs. Sixty Orange County high school students were honored as “Shining Stars” as part of the inaugural Dreamers & Doers program in recognition of their contributions to their communities. 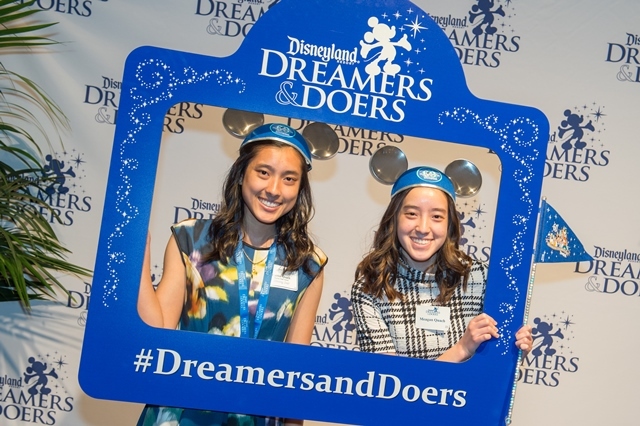 Whether it’s tutoring children at a local school, participating in a neighborhood trash cleanup, fundraising for a cure, or starting a school club, Disneyland Resort Dreamers & Doers recognizes Orange County high school students who dream of making the world around them a better place. Each student honored received $1,000 for their high school and six of the top “Luminaries” received $3,000 to donate to a nonprofit in their name. Applications for the 2016/2017 school year open September 12. 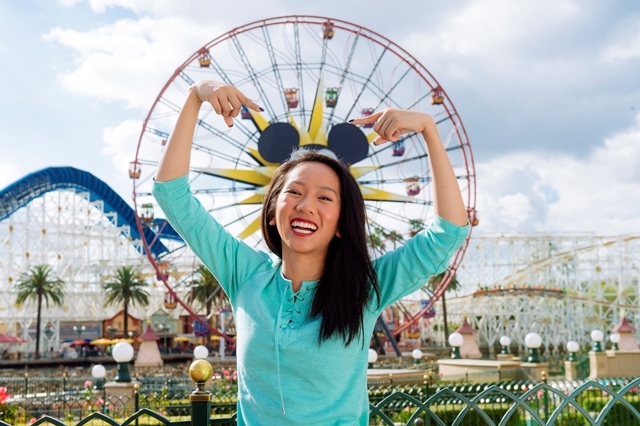 To honor the 100,000th Disney wish granted globally, Disney Parks and Make-A-Wish launched the #ShareYourEars campaign, inviting fans to share images of themselves wearing Mickey Mouse ears. 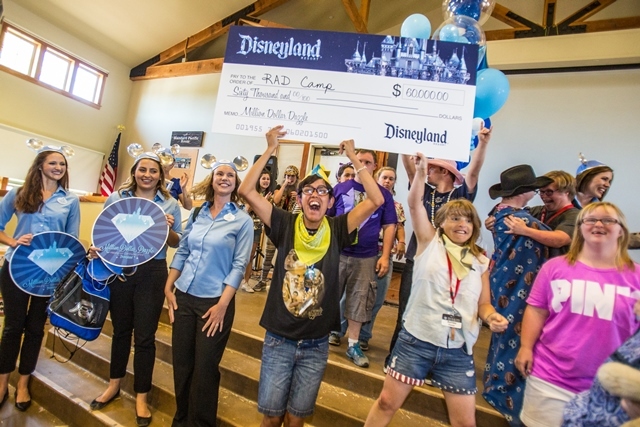 Disneyland Resort celebrated the success of the global campaign and announced that Disney Parks would double its original donation from $1 million to $2 million in recognition of the overwhelming support from fans around the globe. Disneyland Resort launched the “Happiest Class on Earth” program. 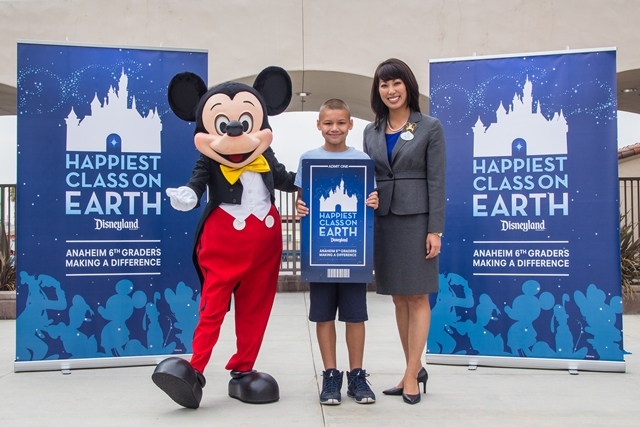 For the next 10 years, every sixth-grade student in Anaheim elementary schools – nearly 6,000 students each year – will have the opportunity to receive a Disneyland Resort ticket and visit the Resort with their class after completing a service project to benefit their home, school or community. Each school will be given a suggested list of actions that students can take individually or as a class, but schools are welcome to determine their own good works to address their needs. Disneyland Resort also will provide schools with post-field trip activities to use in the classroom to make the visit educational. The “Celebrates Summer Squad” took to the streets of Anaheim to celebrate with residents. 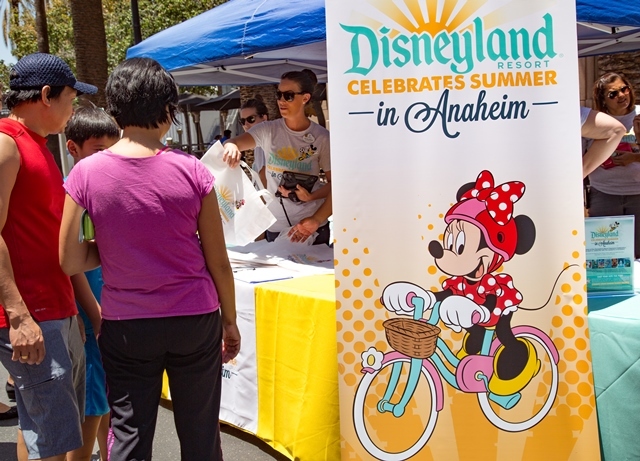 All summer long, Anaheim residents enjoyed eight free Disney movie nights in local parks, surprise appearances with giveaways at community events and Disney Ambassadors reading to children at Anaheim libraries. The summer culminates with five Endless Summer celebrations in parks throughout Anaheim. Featuring live Disney entertainment, games, face painting, family activities and much more, there is still time to experience the fun at Pearson Park (Sept. 10), Stoddard Park (Sept. 17), Twila Reid Park (Sept. 24) and John Marshall Park (Oct. 1). As part of the celebration through Oct. 1, residents also have the opportunity to vote for Anaheim’s next KaBOOM! playground, adding to the seven KaBOOM! playgrounds built by Disney in Anaheim. In addition, two new skate parks, a pickle ball court and the refurbishment of a field for softball and soccer also were made possible in Anaheim with a $500,000 donation from Disneyland Resort. 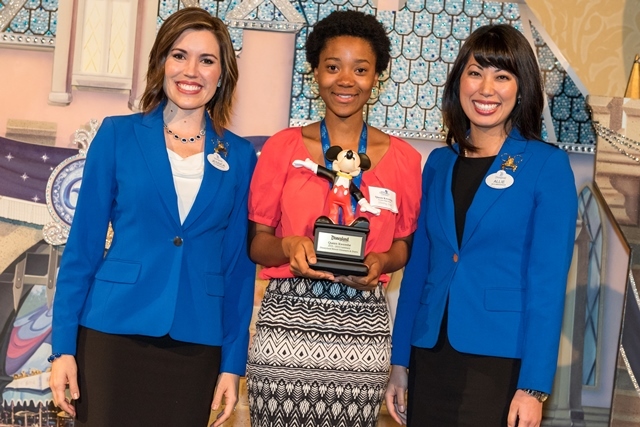 The Disneyland Resort donated $60,000 to nonprofits serving diverse students. The donations will be used to fund scholarships and provide one-on-one mentorship opportunities with community leaders to encourage students’ future growth. Nonprofit beneficiaries included: Ocapica (Orange County Asian and Pacific Islander Community Alliance), Hispanic 100 Foundation, American Indian Chamber of Commerce of California, CASA of Orange County - Court Appointed Special Advocates, Santa Ana College, Anaheim Union High School District and 100 Black Men of Orange County.